Christine McPherson, who prefers to be told by Lady Bird – that is her given name, she insists, because “it was given to me, by me” – she is a senior at a Catholic school. Sister Sarah Joan (Lois Smith), director of the school, has just read the essay with which Lady Bird wants to apply for admission to a university. “It’s clear how much you love Sacramento,” the sister says. That’s a surprise, both for Lady Bird and the public, who at this point in the film already knows that she is more than frustrated with her hometown. “I guess I pay attention,” Lady Bird responds, in an attempt not to contradict. “Do not you think it’s the same?” Asks the sister. That idea, that attention is a form of love (and vice versa), represents a beautiful insight and in many ways is the key behind Lady Bird, the beautiful and insightful film of Greta Gerwig. It is the first film for which the actress receives only credit as a scriptwriter and director (she has shared credits with Joe Swanberg and Noah Baumbach in other films). Gerwig, who grew up in Sacramento and is part of the generation admired by the protagonist of his film – set in 2002 and 2003 – knows his characters and their worlds very well. Their affection fills them with grace, unconditionally but not for that without being critical towards them. 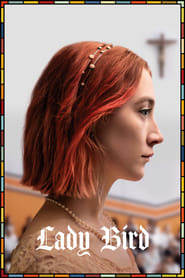 And if you put the correct attention to Lady Bird, with her musical phrases and parentheses and melodies, her choral fragments and her solos and duets, you will undoubtedly love her. It is hard not to do it.